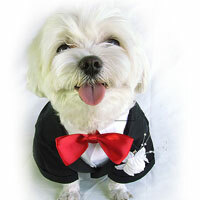 You are at:Home»Posts Tagged "pet fashion"
Now That is a Dog Who Can Accessorize! 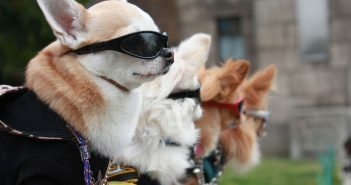 There’s a lot of “bark” going on about fashion for our furry friends, with a large dog pile of opinions on what kinds of accessories and clothing are appropriate for dogs, and whether dogs should even be accessorized and clothed in the first place. I know, it’s July. What do costumes have to do with the heat of summer, cookouts, and the pool? Easy – I have a 10-year-old daughter who likes to plan parties for the family and the 4th of July is on her list of to-do’s this year.